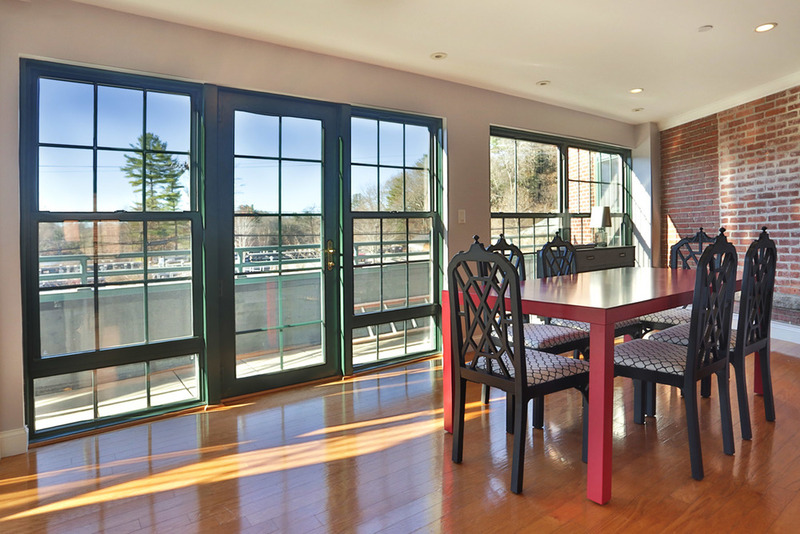 Sunrises, Sunsets and astounding, sweeping water views of the Merrimack River from every window! Sunshine streams through the walls of huge windows. Open concept, with a sunny kitchen with moveable cabinet/counter space, Zodiac counter tops, new appliances and ample space for cooking and visiting, a living area with fireplace, Dining/office area, and 2 luxurious designer baths. You will find exposed brick, high ceilings, hardwood floors, interchangeable spaces and a rarely seen adjacent storage space that is waiting for your creative touch. 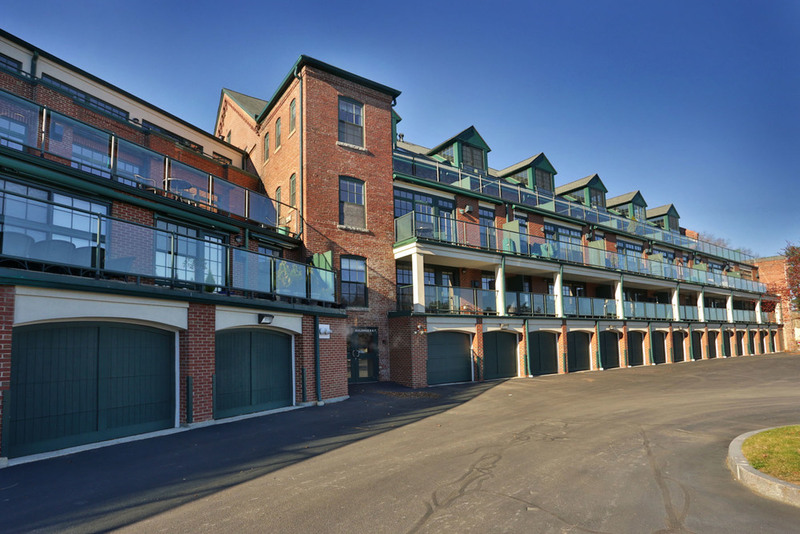 This handicap friendly condo has two garage spaces, one next to the ramp & elevator. Beautiful, historic Hatter's Point is a sweet sanctuary for boaters, bird watchers and outdoor enthusiasts. The two oversized decks make the ultimate people & wildlife watching perches. Got a boat? There is a marina in front of the condo complex.